I kind of like the Five Things Friday post and it's a nice easy way to end off a week, especially when it has been a crazy busy one like this one has. So hopefully you guys don't mind if I do more posts like this when there is a lull in ideas and I need some material to work with. 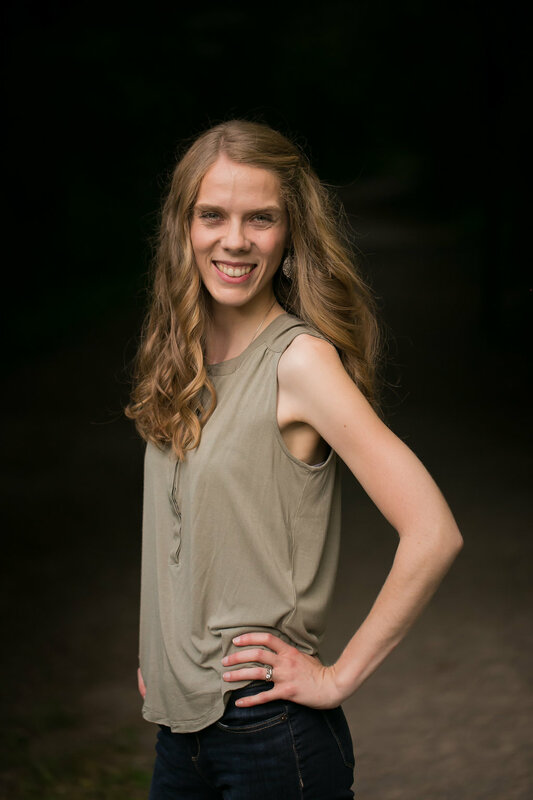 I figured that I could start giving these posts themes, such as favourite movies, books, recipes, etc, and that way I can keep them interesting and you can learn a little more about me along the way. Sound like a plan? This week the theme is movies and I thought I would share my top favourite movies of all time. The only problem is, I honestly couldn't tell you what my top favourite movies are. I like too many and it's really hard to choose between them all. So instead of my top five favourites, I'm just going to share five movies that I love and could watch over and over and over again. 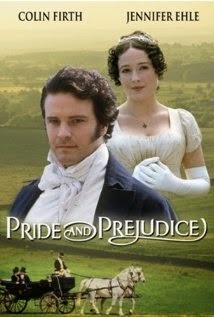 #1 Pride and Prejudice (The Colin Firth one, not the new one with Kiera Knightly). And this one is actually my favourite movie of all time. I have watched it probably over 30 times and I could still sit down and watch it again right now. I LOVE it that much. #2 The Bounty Hunter. Hilarious movie that has me killing myself laughing every time and then quoting it for days to come. I'm a fan of both actors and thought they did a great job together in this movie. #3 The Italian Job is one that I can watch multiple times and still discover something new about it each time. It's the perfect mix of action, love and pretty cars. I admit it, this movie makes me want to go out and buy a Mini Cooper. #4 The Proposal cracks me up every.single.time. Some of the scenes have me laughing so hard I cry (like the one in the woods with the chanting) and other scenes actually make me cry because they're so sweet and touching. I also really like Sandra Bullock and enjoy a lot of the movies she plays in. 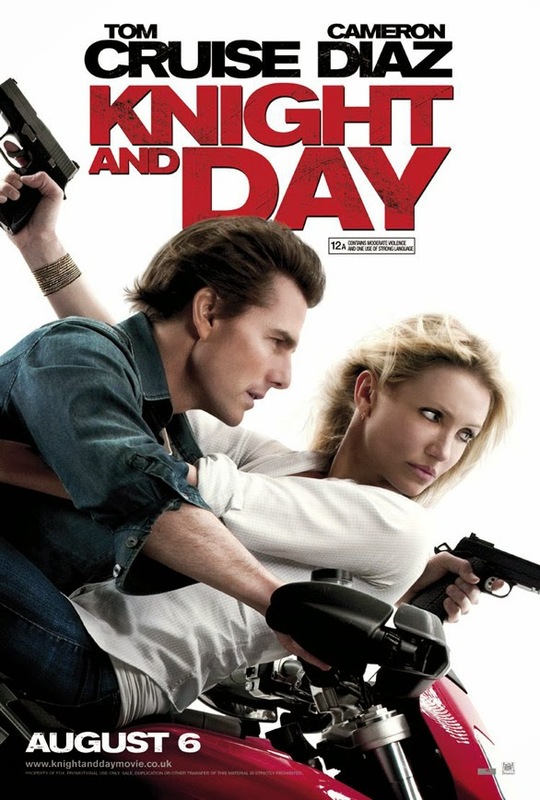 #5 Knight and Day is a bit of a silly action movie with a love plot mixed in there. While I like Cameron Diaz, I'm not usually a huge fan of Tom Cruise but the combo of them in this movie is actually pretty good. The story line kept me hooked right from the very beginning and had enough mystery to keep me slightly confused, while the ending always makes me smile. It definitely deserves to be on my top 5 list (for this week at least). I seriously could have gone on for a while and actually had to cut myself off in order to stick within the Five Things Friday limit. The only bad thing about this post is that now I want to blow off all responsibilities and have a movie marathon today! Don't worry, I won't actually do it. What are some of your favourite movies? Jackie - Those are good movies! See, it's too hard to just choose 5, I could have gone on for a while. Kate - I'm glad I'm not the only one who fell in love with mini coopers. :) And I agree, no matter how many times I watch The Proposal, I still kill myself laughing during the chanting scene.